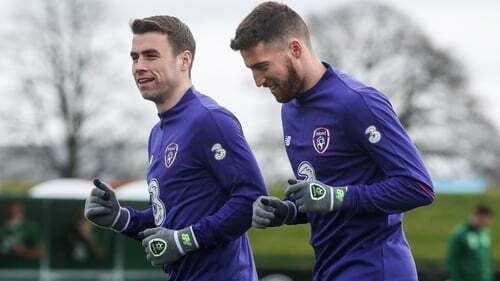 Will the Seamus Coleman and Matt Doherty combination get another chance to impress against Georgia? Tuesday 26 March, Aviva Stadium, Dublin, 7.45pm. Live blog on RTÉ.ie and the RTÉ News Now App from 7pm. Live match commentary on 2fm. Switzerland host Denmark at St. Jakob Park, Basel at 7:45pm. It may not have been easy on the eye, and the best you could say about the trip to Gibraltar was that the three points on offer were collected. Since the qualifying groups were drawn last December, Ireland have had 111 days to prepare for the opening fixture at the Victoria Stadium. Given Mick McCarthy’s appointment the previous week, it was little wonder that the former centre-half admitted before the game he was almost fed-up of talking about the game and just looking forward to the 90 minutes on the pitch. The action was below what was expected as most involved admitted to afterwards, but there were some mitigating factors. The artificial pitch didn’t help matters and while it is always pointed out in such circumstances that it is the same for both teams, the home side are a little more versed in the underfoot conditions and bounce of the ball. Of greater significance was the howling wind. The stadium is pretty exposed to the elements and any thoughts of implementing more of a passing game was greatly hindered. There was also the ‘first game’ factor with the new manager. While everyone wants to impress, the likes of Conor Hourihane, Enda Stevens, Matt Doherty, Sean Maguire and David McGoldrick are very inexperienced at this level and trying to achieve fluency with new personnel was always going to be a challenge. Those are the excuses out of the way, and the first two simply won't wash tomorrow evening. We are back to grass at the Aviva Stadium and unless the weather takes a dramatic turn, it shouldn’t have a decisive impact on the outcome. Georgia at home will be the real litmus test of where McCarthy is taking this team. With one game down and seven to go, he needs to start building quickly if Ireland are to seal one of the two automatic places on offer in Group D.
At the very least, there needs to be some indication that the Boys in Green have moved on from the drab final days of the Martin O’Neill era if the fans are to feel more optimistic about 2019. You couldn’t blame Georgia if they feel like they "owe us one". This will be the 10th meeting of the teams and while Ireland have yet to taste defeat, they have rode their luck on a number of occasions. The only non-competitive fixture was a 4-0 friendly win in 2013, and that result was something of an outlier in terms of dominance on the scoreboard. A 1-1 draw the last time the sides met in September 2017 saw Ireland just about hang on after Shane Duffy’s fourth minute goal at the Aviva Stadium. Their previous two visits to Dublin saw Seamus Coleman fortuitously break their resistance in the final quarter (2016), while 13 months previous to that, they went even closer to an upset. Alexander Iashvili opened the scoring in the very first minute, but two Robbie Keane goals in a five-minute second half spell sealed an unconvincing win for Giovanni Trapattoni. 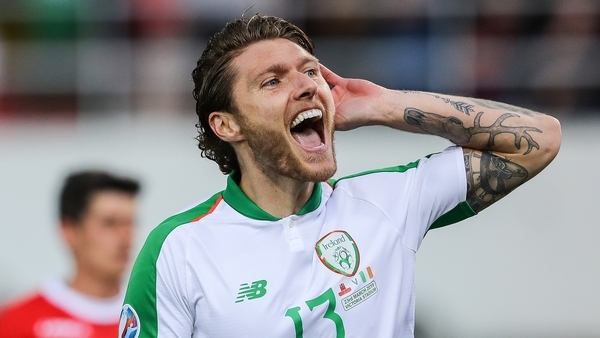 Of Ireland’s eight competitive wins, seven have come by a one-goal winning margin. The other was a 2-0 win in 2003 where goals from Gary Doherty and Robbie Keane saw the home side through. They may be ranked 91st in the world, but as we witnessed 17 months ago, they are a capable side in possession and at their most potent on the counter-attack. "I remember feeling like we’d just played Man City, and that’s not right. Technically they were a lot better than us," midfielder Harry Arter admitted this week. Georgia’s eight-game unbeaten home record fell at the weekend in the 2-0 defeat to Switzerland, but the visitors were made to work for the three points. The game was poised 0-0 at the interval, and it was Valeri Qazaishvili who had the best chance of the opening 45 minutes with a snapshot at the edge of the square. The Swiss were without forwards Xherdan Shaqiri and Haris Seferovic, but once they took the lead in the 57th minute through Steven Zuber before Denis Zakaria wrapped up the win shortly before the end. Just five of the team that started the 1-1 draw with Ireland during the last campaign, while just three members of the Irish team that night in Tbilisi started in Gibraltar, so there is a significant change in personnel in that short period of time. The team selection against Gibraltar gave an indication to what we can expect from Mick McCarthy in his second coming as national manager. David McGoldrick and Conor Hourihane's eye-catching form in the Championship was rewarded with starting spots, Richard Keogh got the nod over John Egan at centre-back, while despite nearing full fitness, Robbie Brady wasn’t thrown back into the starting XI, with Enda Stevens entrusted at left-back. It is the opposite flank however which continues to intrigue. Team captain Seamus Coleman fended off the in-form Matt Doherty at right back, with the Wolves man slotting in higher up the pitch. McCarthy spoke about how the Dubliner is "the best attacking right wing-back in the Premier League", but didn’t get to showcase that talent at the Victoria Stadium. In truth, very few in green managed that feat, but it again poses the question how you can accommodate both players in the same team, or if it’s possible at all? McCarthy’s post-match comments in Gibraltar didn’t suggest he is willing to give the Coleman and Doherty experiment much time to bed in. "It didn't work today, maybe there's not a lot of room in behind them when they sit in. Has he [Doherty] got the box of trick to get past people, probably not.... If it's an experiment it's not worked but we've come away with three points." So what will happen tomorrow night? You feel that it deserves at least another run out before any serious judgement can be made. Failing that, it could be either a straight shoot-out for the number two jersey, or perhaps a switch to left-back for the versatile Doherty. Either way, one of the better selection headaches for McCarthy. D'Arcy: Where does society go if you create barriers in sport?